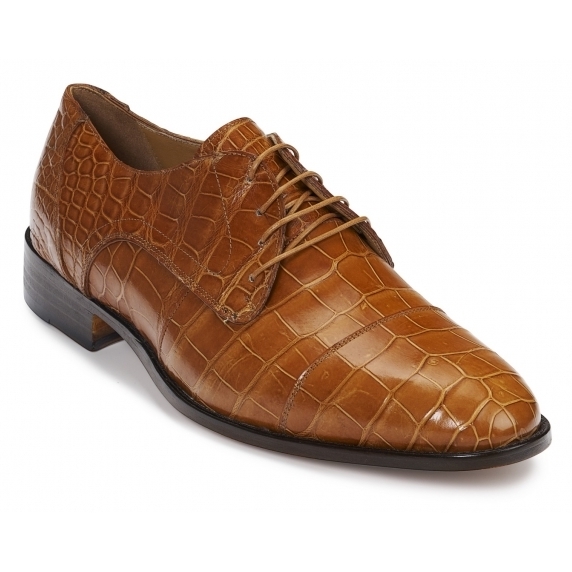 Beautiful genuine baby alligator skin lace up derby style dress shoes in awesome finish. Features leather lining and leather sole. Made in Italy.